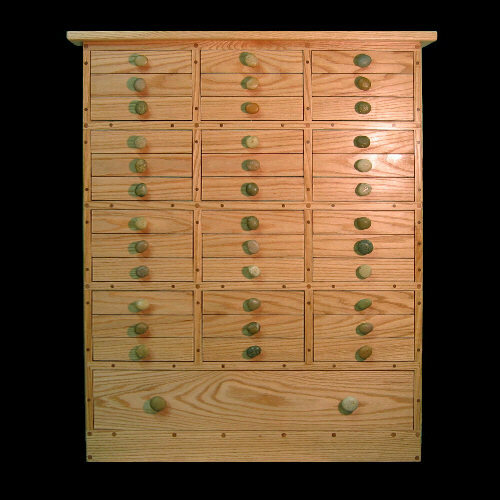 This 37-drawer jewelry chest was made to hold a large jewelry and bead collection. Each of the thirty-six small drawers have a removable divider giving a maximum of 74 separate compartments. 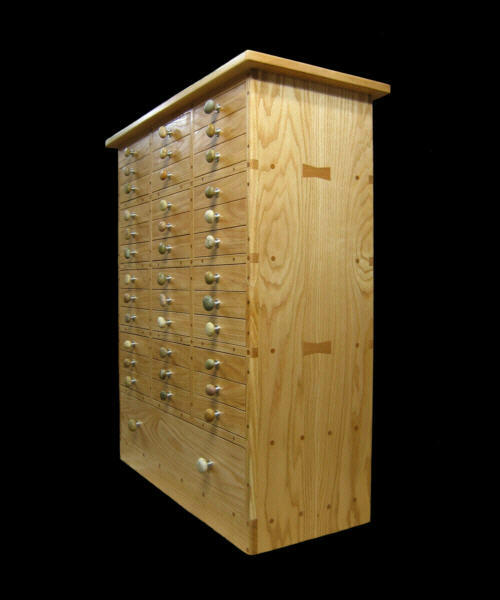 The large bottom drawer can be used to hold small jewelry boxes or other miscellaneous items. Construction is of solid American red oak. 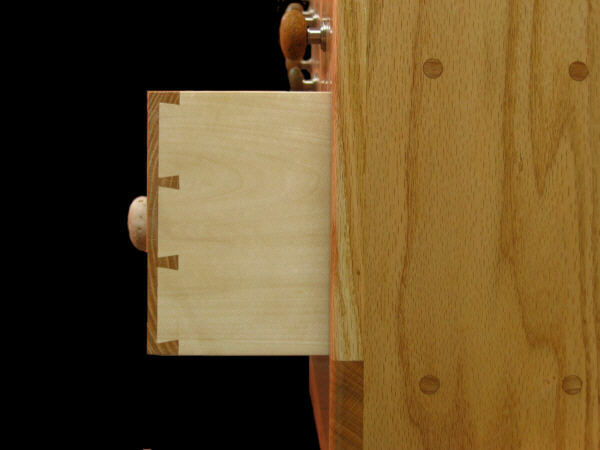 Drawer insides basswood. 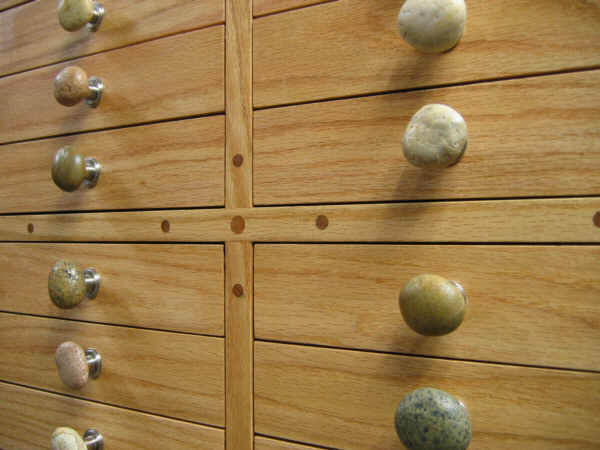 Drawer- pulls are made from assorted stones on metal mountings. Drawer inside dimensions: 8 3/8" W x 6" D x 2" H or 12 3/8" without the center divider. Large drawer: 29 7/8" W x 12 3/8" D x 5 1/4" H.
May be provided with optional hidden casters.